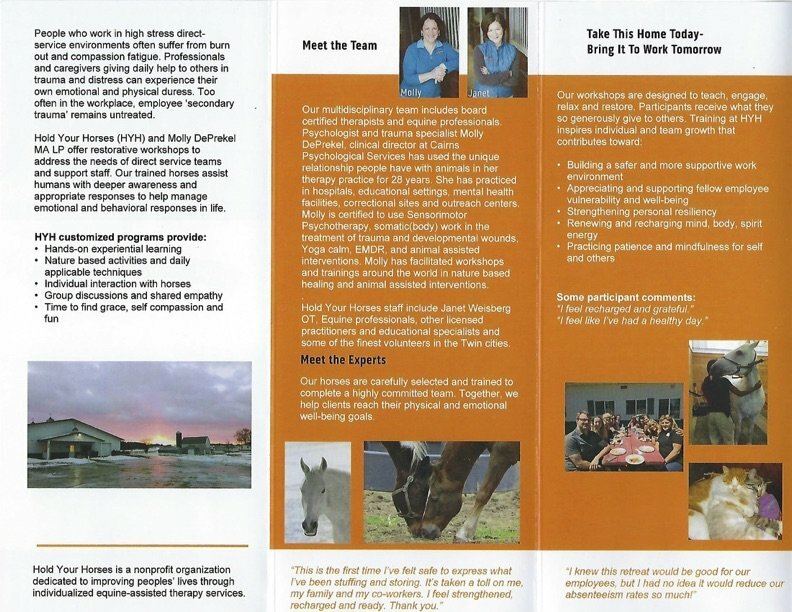 Hold Your Horses provides occupational therapy, physical therapy and mental health services. 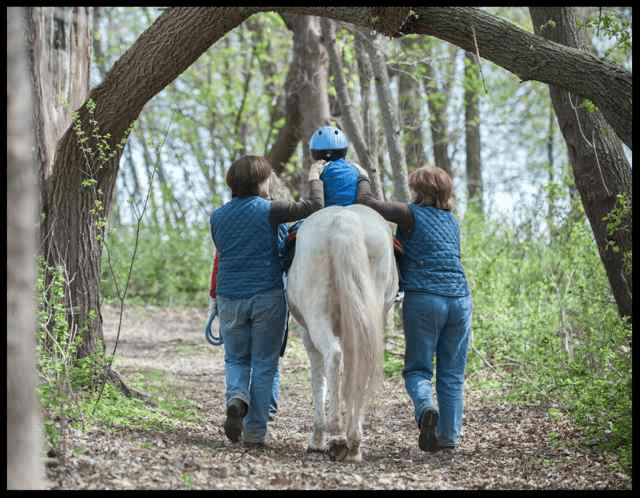 Our clinicians are specially trained and certified to incorporate the horse into their overall plan of care to help build skills for better daily living. 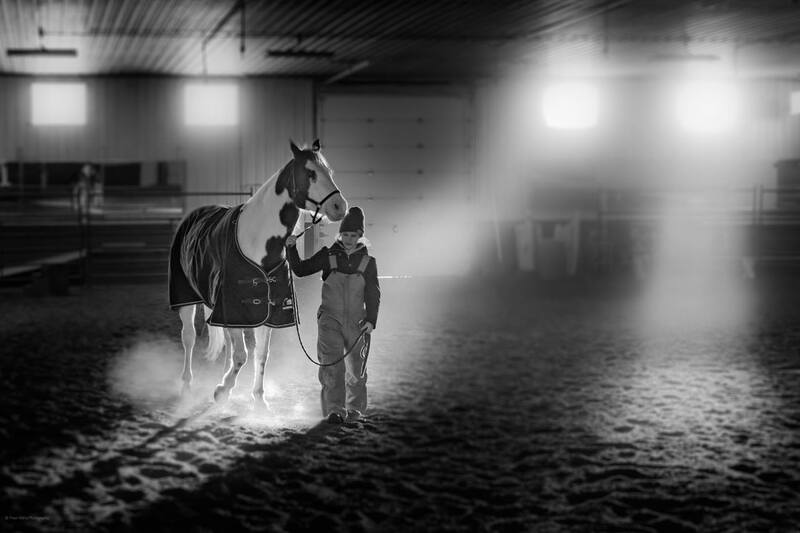 Horse and clinician are joined by a skilled horse handler to create safe and effective sessions. 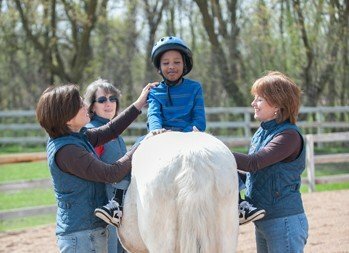 At Hold Your Horses we specialize in the treatment strategy of hippotherapy for children with physical, neurological and sensory impairments. 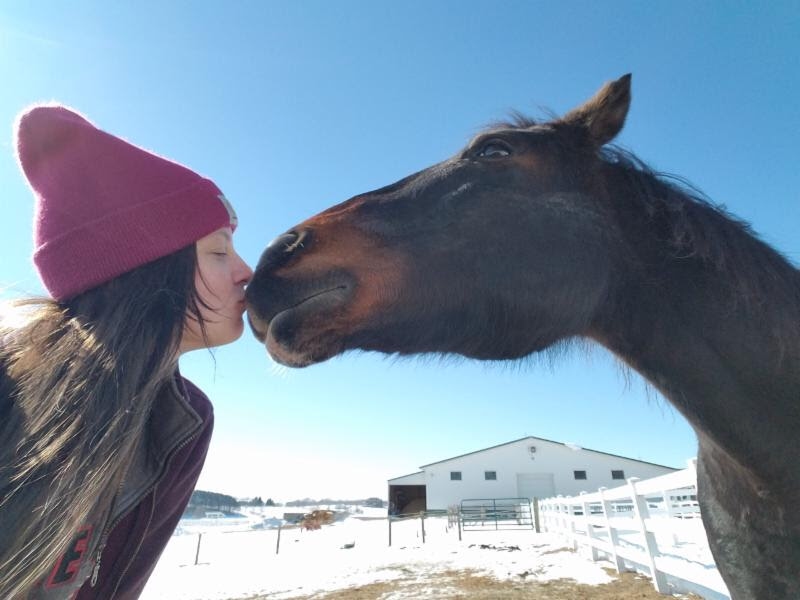 We also partner with licensed psychologists to offer equine facilitated psychotherapy that helps people move forward from trauma, anxiety, depression and the challenges of living with mental illness. The horse and the opportunity to be in the natural environment create opportunities that cannot be replicated in the clinic or classroom setting. 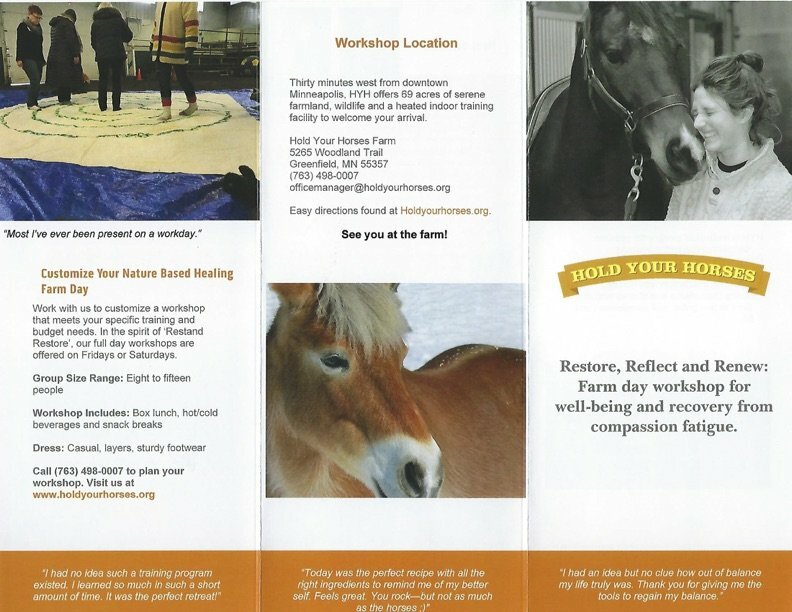 Hold Your Horses hosts a variety of Restorative Workshops to bring respite and recharge to those on the frontline of caring professions. Offering full days of rejuvenation, Hold Your Horses can provide tailored retreats to meet the needs of your staff and personnel. Click here to download our brochure on Restorative Workshops. Hold Your Horses hosts educational events for professionals working in the field of equine assisted services. We also welcome trainers and educators who share their expertise in working with our equine partners. Our farm is a peaceful setting that is entirely dedicated to healing services.